In 1971, Thomas J. Murray became the first lawyer to use videotaped depositions and evidence in court. He was nationally recognized pioneer in what is now accepted in all 50 states. Today, the Sandusky personal injury practitioner is pioneering something else. He is now perhaps best known for his breakthrough in “sudden acceleration” claims again automobile companies. Murray’s interest in this area began when he was asked by another attorney to look at a sudden-acceleration case. 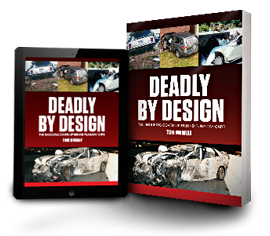 He was intrigued with the subject matter and decided to go for it, knowing that no attorney had yet breached the automobile companies’ defenses.